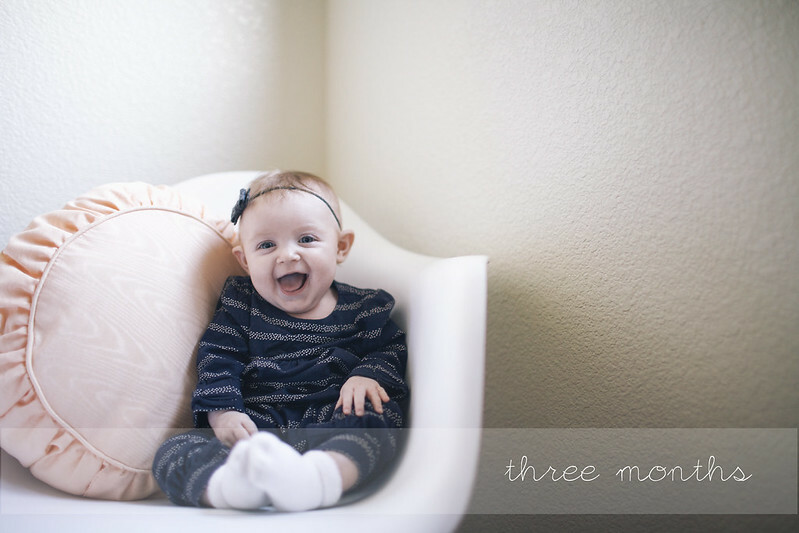 Sweet Anabel is three months old. She weighs 11 pounds and 1 ounce. She is twenty-three inches long. She is goofy and slap happy, most of the time. Far more comfortable than any other month thanks to overdue reflux meds and intestines that have matured a bit. She loves almost everything now. Except for having her nose suctioned (that's the worst form of torture in her eyes). She falls asleep on her own, but no longer through the night She is perfecting her giggle, responding to her name, practicing rolling back to front, and napping like the queen she is. She is still a fan of bath time, her dad, music, dancing, eating, and most recently - sticking her entire fists in her mouth. Her hands are the best things around. She's got incredible motor skills these days & anything she can grasp goes straight to her mouth. 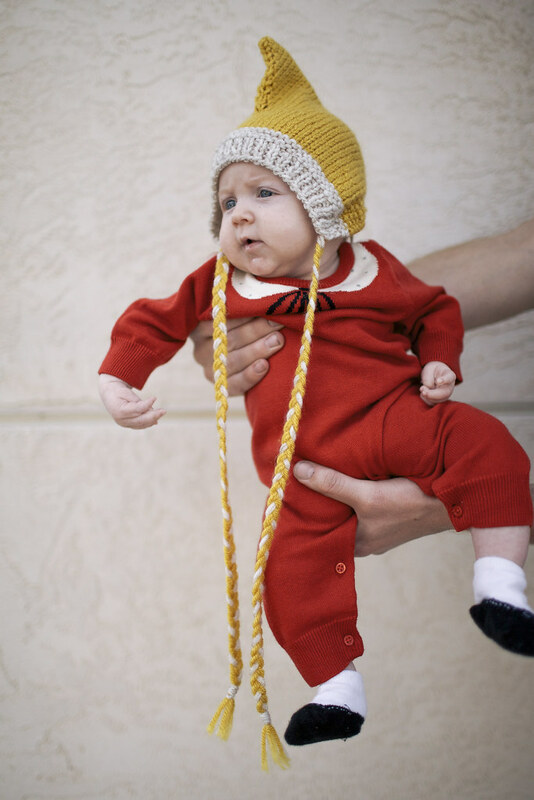 She was an elf for her very first Halloween, and she rocked it. So far, month three is kind of the best month ever, and I am almost certain that I couldn't love her more. She is just so perfect. look at that smile. adorable!